Nowhere does this principle apply more than with email. Before you can make a sale, convert a subscriber, or even start a pitch, you need your target audience’s permission to talk to them. And that means one thing: getting them to opt-in. Of course, getting visitors to opt-in is not as simple as dropping a “Subscribe to My Newsletter” box on your site. When people give you permission to email them, they aren’t just giving you space in their inbox. They’re giving you their attention, time, and energy. Behind the scenes, your quest begins with the opt-in offer, the lead magnet, carrot content, “ethical bribe,” or whatever you want to call it. Next comes the design, layout, UX and copy of your opt-in form. And finally, the first impression: email number one … the follow up. The whole process can feel mysterious and overwhelming. But it’s not … or, at least, it doesn’t have to be. 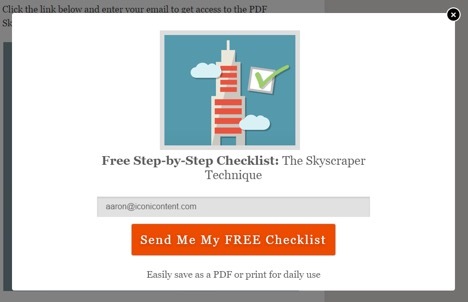 This article will look at five crucial elements for creating opt-ins that beg to be clicked. 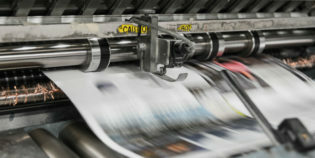 The hallmark of a successful article is also the hallmark of a successful opt-in. And it’s the same hallmark of a successful speech, successful story, successful movie, and successful email. What’s the common ingredient? Singularity … you only get one. Call it what you will — one offer, one emotion, one plot, one big idea — but opt-ins live or die by this one basic rule. You would think that providing varied offers would impress your visitors and inspire them to sign up. But the truth? People are repelled by too many choices. “There is diminishing marginal utility in having alternatives; each new option subtracts a little from the feeling of well-being, until the marginal benefits of added choices level off,” writes renowned psychologist Barry Schwartz. 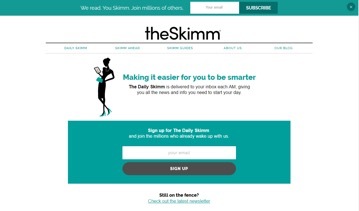 theSkimm follows this principle in their header, on-page form, and pop-up. You can always showcase your other offerings, tips, and accomplishments at a later stage. But the goal of the opt-in has to be just one. You’re right … and you’re wrong (sort of). Limiting yourself to a singular offer doesn’t mean limiting yourself to a single call-to-action, or even a single form. Instead, it means that whatever offer your opt-in focuses on, that offer — and that offer only — must be repeated consistently throughout the page. “The whole process starts with identifying what you want to deliver to your audience,” writes Marya Jan, a Facebook ad strategist. After you’ve answered that question … stick to it. 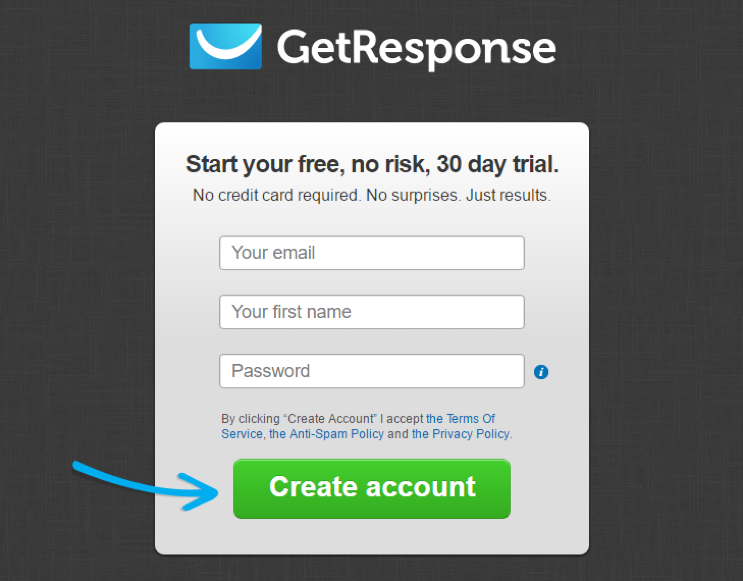 The look, the words, and the benefits must be consistent across all the opt-in forms. This is not to say that you cannot be creative. But never sacrifice clarity in the quest for creativity. Weather app Poncho adheres to this by creating four separate CTAs, all of which lead to the same pop-up form. Likewise, Asana’s homepage — with all three opt-ins — does the exact same thing. Brevity comes in two forms: in the lead magnet and in the opt-in form. How many unread e-books and PDFs do you have on your laptop, Kindle, or iPad? You know, the ones you downloaded for free and forgot they existed. Although you had the desire to dig deeper into the subject, you could never summon the willpower to sift through thirty or more pages. Your subscribers are the same. They have good intentions. They want to learn from you. They want to support you. But they also have to eat, sleep, work, and devote some time for play and self-care. And, unfortunately, these needs often take priority over long-form content. 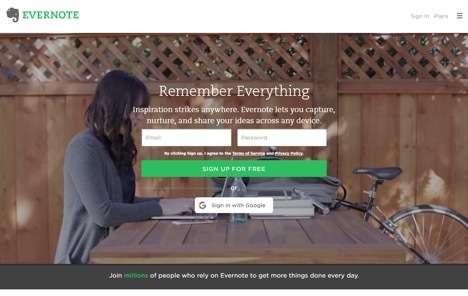 So how do you get more visitors to first subscribe … and then engage? With opt-ins, smaller is powerful because it requires a much less time and energy commitment from your subscribers. Give visitors a glimpse of your knowledge, just enough so they’re enticed, and they will read what you’ve written, and — even better — look forward to hearing more from you in the future. 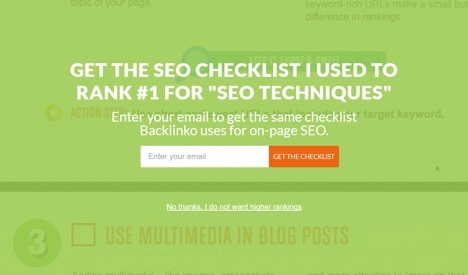 Brevity also applies to what you ask from your visitors in the opt-in form. Unless absolutely required to segment your audience, stick to obtaining their Name and Email. Write to Done does this brilliantly. Image source: Write To Done. 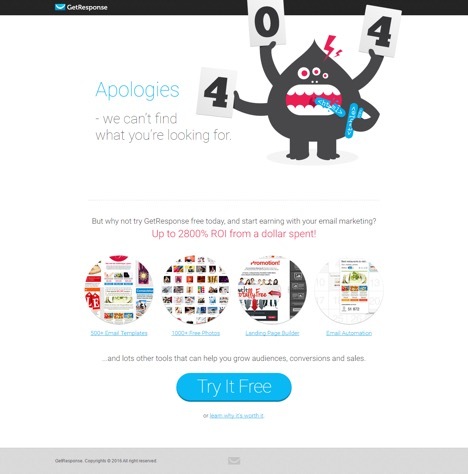 Don’t bury your opt-in under mounds of other content. Where you place your opt-in is just as important as what you write in the form or what you offer. 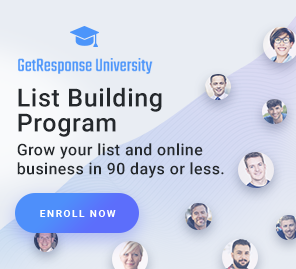 Some of the most common email list-building locations include pop-ups, welcome mats, feature boxes, splash pages, sidebars, sidebar sliders, headers, footers, and about pages. If you’re paying for traffic, then you should absolutely dedicate an entire landing page to getting visitors to click. To remedy the situation, Sarah makes a few innovative suggestions: add forms beneath the headline, beneath your comment form, in the archives section, as content upgrades within your posts, or even on your 404 error pages. For instance, GetResponse’s own 404 page contains a handful of links, but one giant button that leads directly to an opt-in. There is no one right place to display your opt-in form. 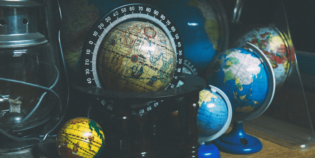 You have to test various locations regularly in order to find a few that stand out to your visitors. Above all, be sure nobody has to “work” to find the opt-in. Most people simply won’t put in the effort, even if they love your onsite content. Visitors don’t saunter onsite for no reason. They come looking for a solution to a problem. And value is 100% determined by whether or not your opt-in promises to save them from hell … and deliver them unto heaven. Those are heavy words, but thinking in terms like that will force you to address the emotional and practical needs that drive value. For instance, a new entrepreneur might want to learn how to do keyword research. She hits Google to find help and lands on your site. Does your opt-in immediately address her need? Does it provide an informative response to the question that brought her to you in the first place? Or is your opt-in offer just an ornamental, one-size-fits-all afterthought added because others are doing the same thing? You can’t satisfy every visitor’s distinctive needs. But if you’ve done your research, studied your target audience, and know what you’re offering — whether that’s free content or even a free sign up — you will be able to come up with an opt-in that reflects the main challenge of your core market. The value in each example is relevant, immediate, and obvious. Email marketing offers the highest return-on-investment (ROI) out of all marketing channels — a whopping 3800%. Intimate, immediate, and inexpensive, email is the channel of choice for smart marketers and savvy consumers. However, without an opt-in to sweep your subscribers off their feet … those opportunities don’t exist. You need a singular, consistent, visible, succinct, and valuable opt-in. So my question is: What’s the best opt-in you’ve seen? And more importantly, what motivation can you take from it for your own?